In today’s society far too many of us have gotten away from a true understanding of the word, much less putting it into action within our daily lives. The loose usage of important labels such as friend, kind, nice, etc. are becoming all too frequent. I often speak to the power of Dr. John Maxwell’s “value added” approach in daily life. 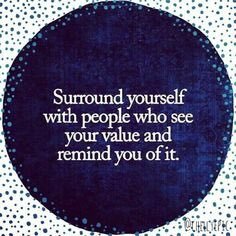 This is something I strive to do daily and seek those who add value in return. “Live your life with intentionality – make it significant,” are words from Dr. Maxwell to live by. The longer I live the more I realize that some people are good listeners, (uninterrupted – not hearing – listening) genuinely care and are tried and true friends. These will be there through the good times and the not so good times. Thick and thin. Sometimes its a learning process. Life is hard. The aches and pains of growing up as a person, professionally and personally can be taxing. I know who these people are in my life. My tribe. My people. They build me up, encourage and offer constructive feedback on going and this is reciprocal. They have my back I love them. I know them and they know me. I love them. They love me. Do you connect with this? How genuine are you? It took me until my mid-30s to get to this point and I’m still evolving but I’m getting there – always striving for greatness. Sometimes takes weeding out. Quality > quantity. Some people are good at talking the talk, but fail miserably when it comes to walking the walk. These people are not genuine. They need weeded out – no room for them on this train. Nonnegotiable. Today > tomorrow. The power of not putting things off. Love, love, love…….We speak the same language. My friend! I’m a huge fan of John Maxwell myself. As I’ve matured in life I’ve cone to understand the value of having a few genuine people in my life versus many who may not render the value that I’m worthy of getting. When my children were young my prayer to God was that He would only place people in their lives who needed to be there. People who would add value, worth, good and substance. I later began to pray the same prayer over my life as well. My tribe is small, but it is mighty. Those who are in my life have been such a blessing to me that only God could have placed them there, which is why I consider myself to be blessed beyond measure. I’m so fortunate to be connected by such powerful and inspiring people such as you and others even through Twitter. Who would have thought that social media would have been such a powerful conduit in and of itself. Thank you for being such a positive and inspiring and more importantly a genuine sole.